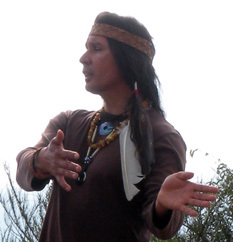 Sunday, November 21 · 5:00pm – 6:00pm Join Raven and his guest Che oke’ ten as Raven finds out about Che oke’ ten concert tour in Japan and his solo flute CD (journey of the spirit) that won the 2009 JPF National music award for best Native American Album. Che oke’ ten (Paul Wagner), Native American flutist, drummer/singer and storyteller of the Saanich (Coast Salish) tribe, shares the beautiful songs and stories of his ancient northwest coast …Sissiwiss (“sacred breath”/”sacred life”) spirituality, in cultural presentations and ritual and public performances, in the United States and abroad. Based out of Seattle, Washington, Che oke’ ten has worked with some of the Pacific Northwest’s great artists such as Eyvind Kang, Bill Frisell, Gina Sala and Johnny Moses. Che oke’ ten comes from a lineage of Shneh’em, medicine people who have dedicated their lives to healing work using many tools, including music. He continues this work through traditional sound healing and ritual performance. This entry was posted in Make No Bones Shows and tagged Che oke' ten (Paul Wagner), Native American flutist, Native Music, Native Storyteller, Raven Redbone. Bookmark the permalink.